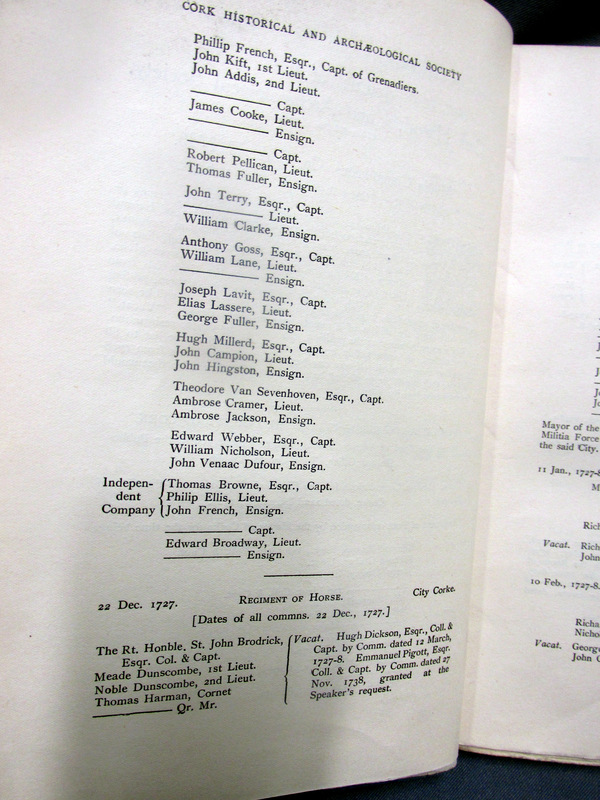 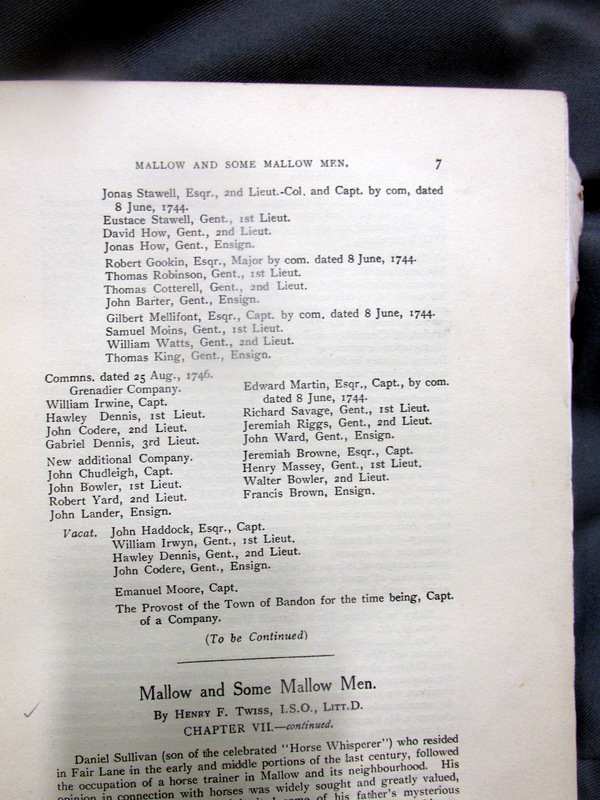 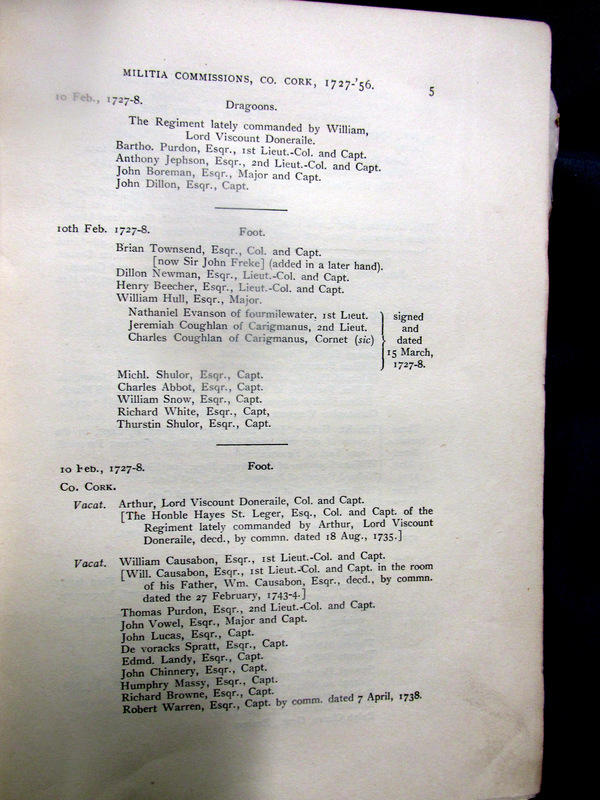 Some Militia Commissions and Extracts from Proclamations of Dublin Gazette for Co. Cork, 1727-1756, Copied from Public Records Office, Dublin before their Destruction in 1922 by Rev. 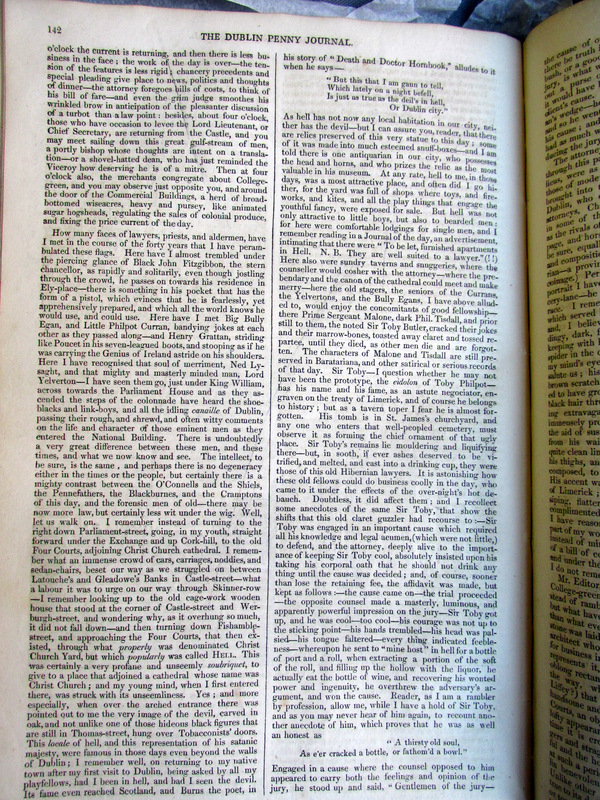 Henry R.Swanzy, MA, MRIA. 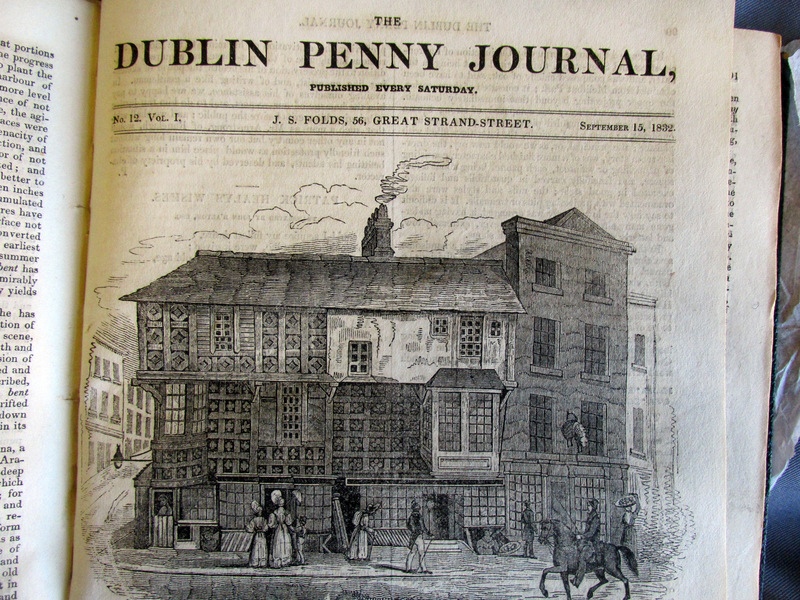 By a Quinquagenarian, the Pre 1797 Four Courts at Christchurch, Dublin, Hell and ‘Our Four Courts, thank the Genius of our Isle, is still full of business; and as long as Erin remains the land of Ire, so long surely will Lawyers fatten, and Attorneys Batten on the Quarrelsome and Litigious Propensities of Our People, Big Bully Egan, Little Philpot Curran, Black Jack Fitzgibbon, Henry Grattan, Ned Lysaght, Lord Yelverton..
From 1832 Dublin Penny Journal in a book of the weekly issues owned by Dublin writer Sean O’Casey. 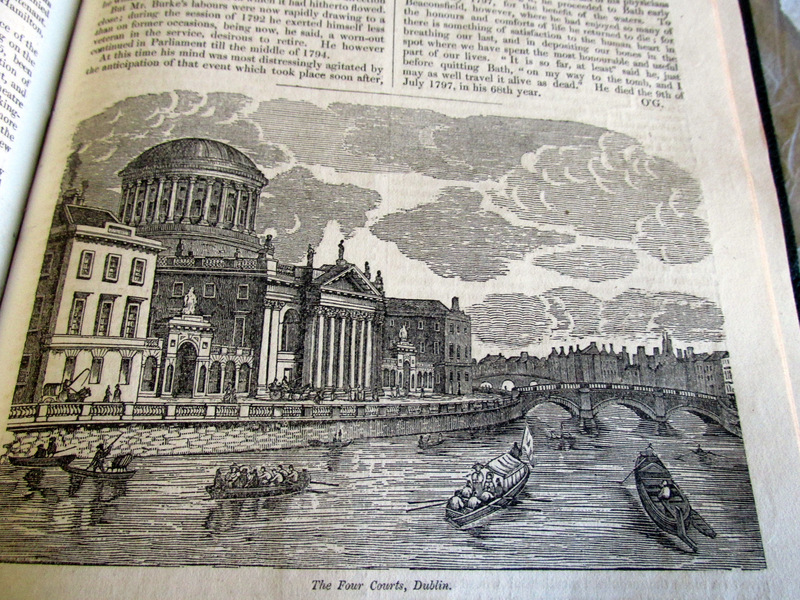 http://comeheretome.com/2013/03/20/an-interesting-account-of-hell-from-the-dublin-penny-journal/Note the Pre-1922 Four Courts. 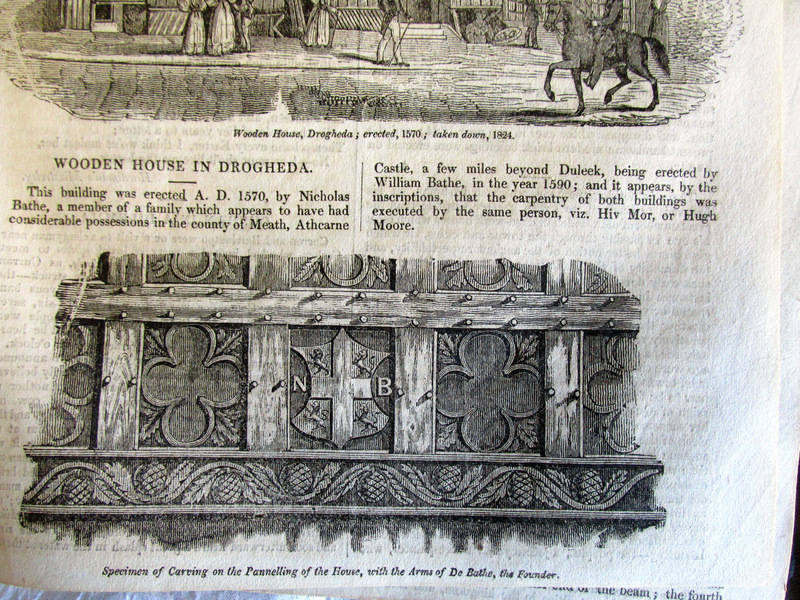 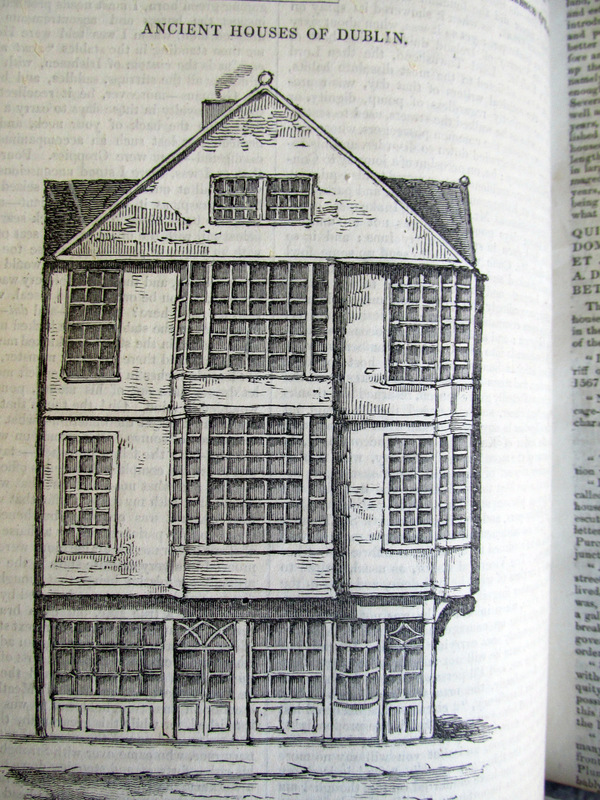 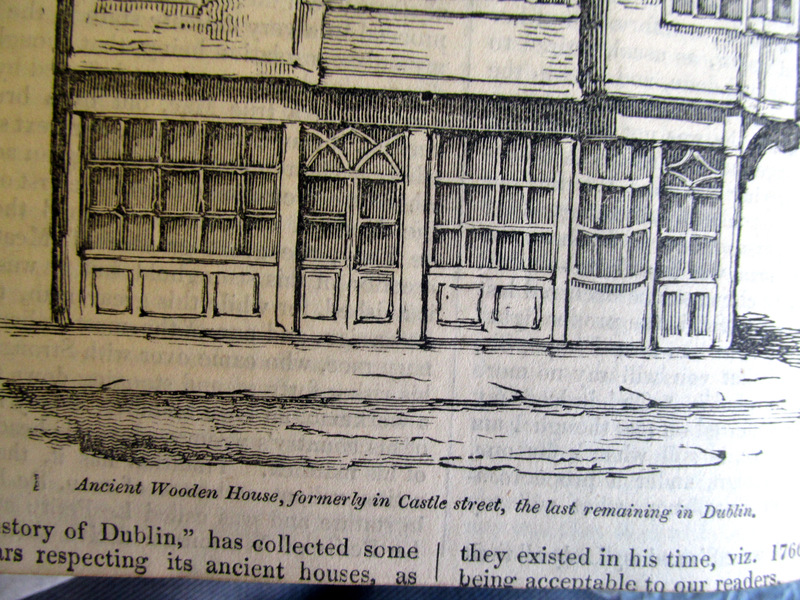 Ancient Houses, Drogheda 1590, Castle Street and Marrowbone Lane, Dublin. 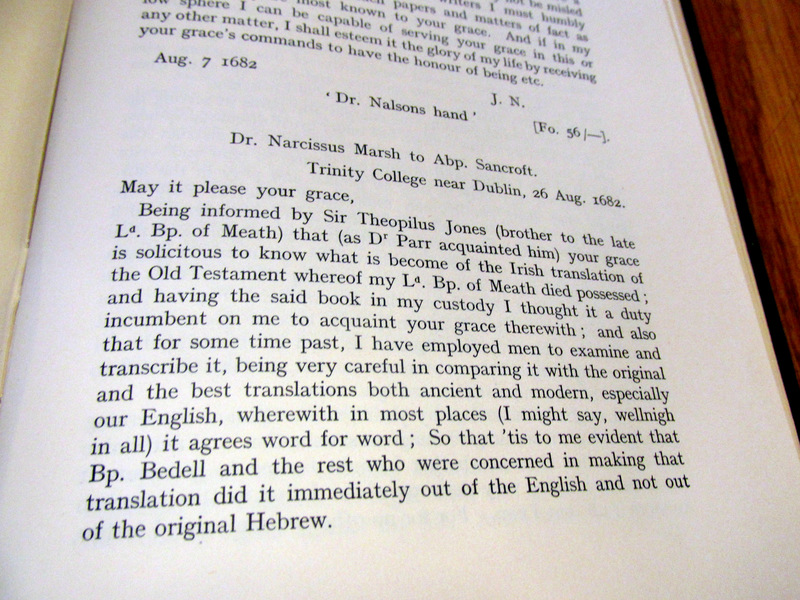 Church of Ireland Bishop of Kilmore, William Bedell (1571-1642) letter 2nd February 1631 re his objective to ‘Set forth the Bible in the Irish Tongue’ and Dr. Narcissus Marsh’s )later Archbishop of Armagh) report on progress 1682 500 copies printed in London with financial assistance from Robert Boyle (1627-1691) from Earl of Cork family. 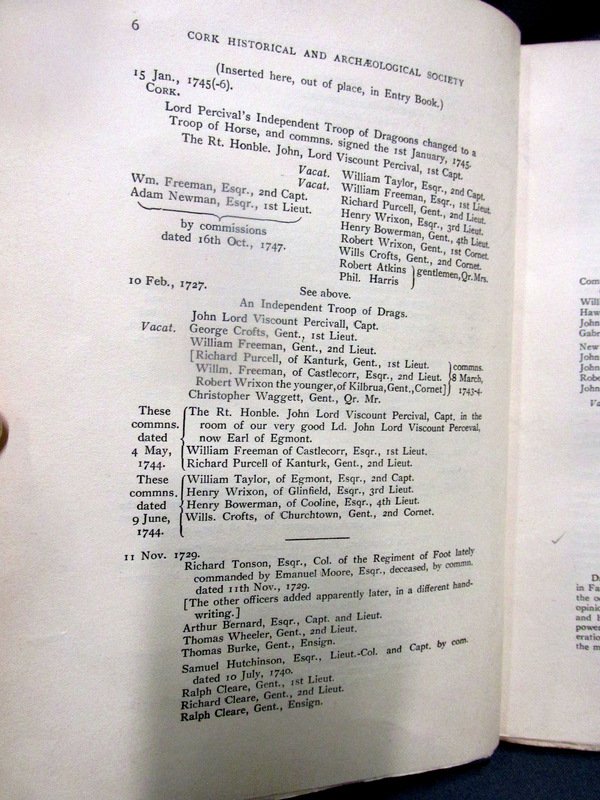 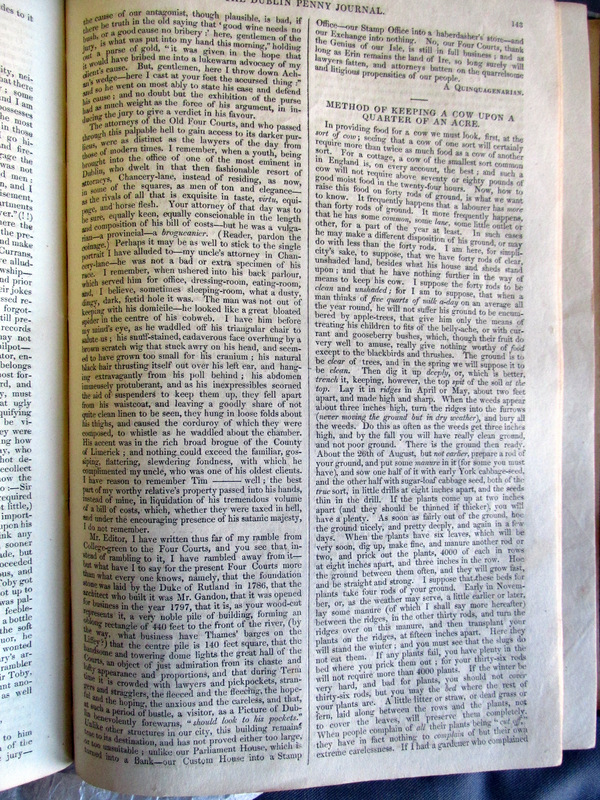 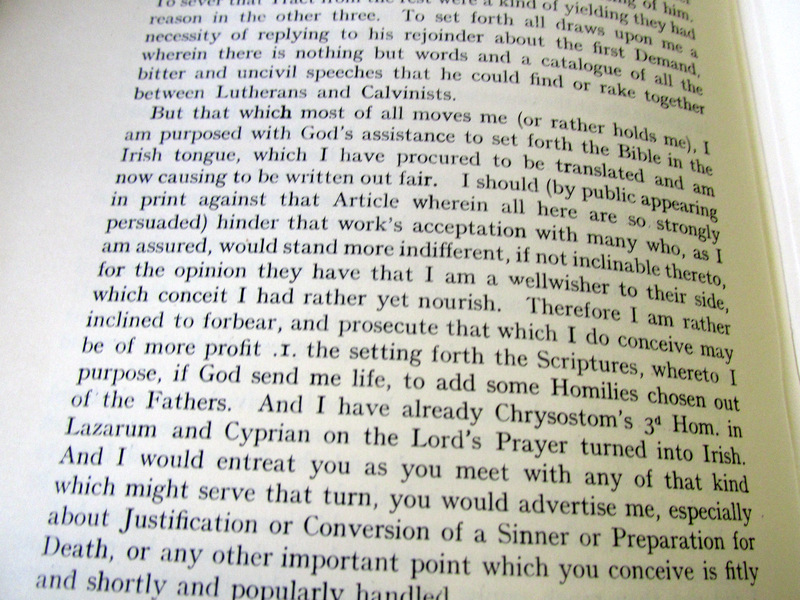 his proposal to Church of Ireland Bishop of Kilmore, William Bedell (1571-1642) letter 2nd February 1631 re his objective to ‘Set forth the Bible in the Irish Tongue’ and Dr. Narcissus Marsh’s )later Archbishop of Armagh) report on progress 1682 500 copies printed in London with financial assistance from Robert Boyle (1627-1691) from Earl of Cork family. 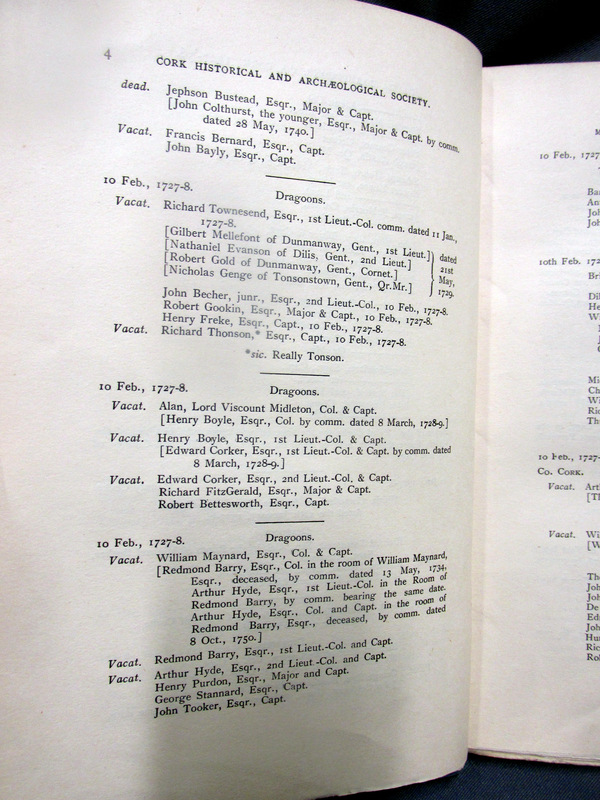 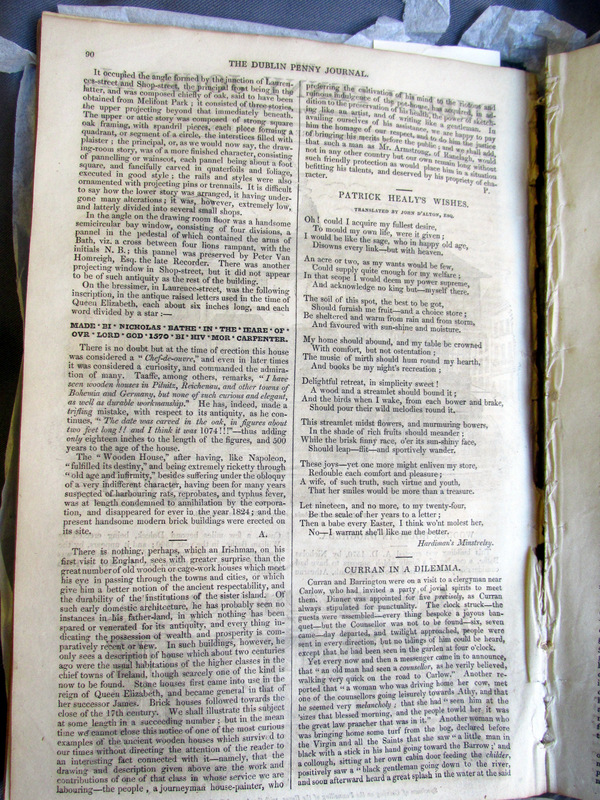 his proposal to establish an ‘Irish lecture’ at Trinity College, Dublin but under great discouragements an ‘Irish lecture’ at Trinity College, Dublin but under great discouragements. 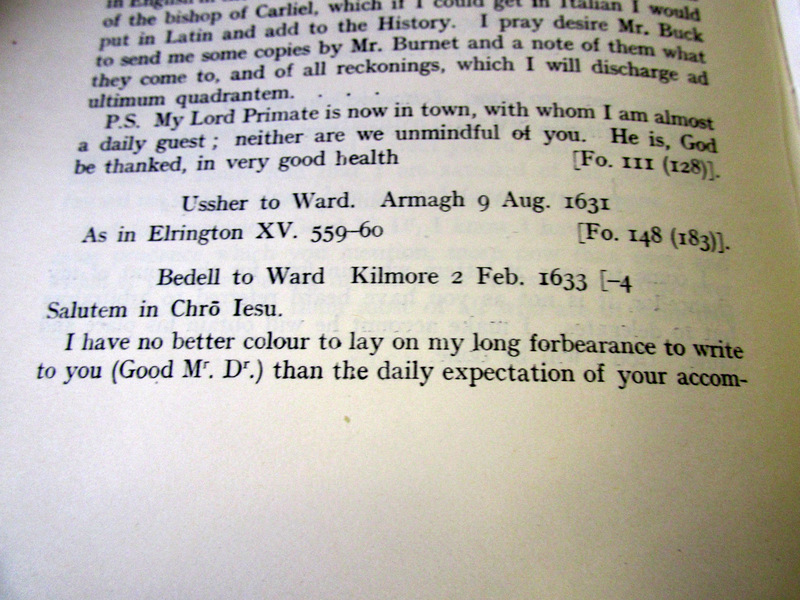 Church of Ireland Bishop of Kilmore, William Bedell (1571-1642) letter 2nd February 1631 re his objective to ‘Set forth the Bible in the Irish Tongue’ and Dr. Narcissus Marsh’s )later Archbishop of Armagh) report on progress 1682 500 copies printed in London with financial assistance from Robert Boyle (1627-1691) from Earl of Cork family. 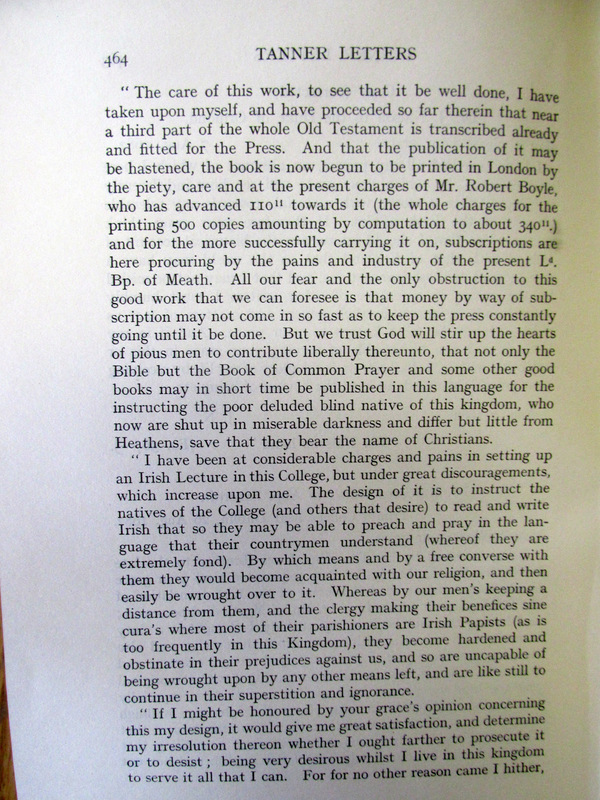 His proposal to establish an ‘Irish lecture’ at Trinity College, Dublin but under great discouragements. 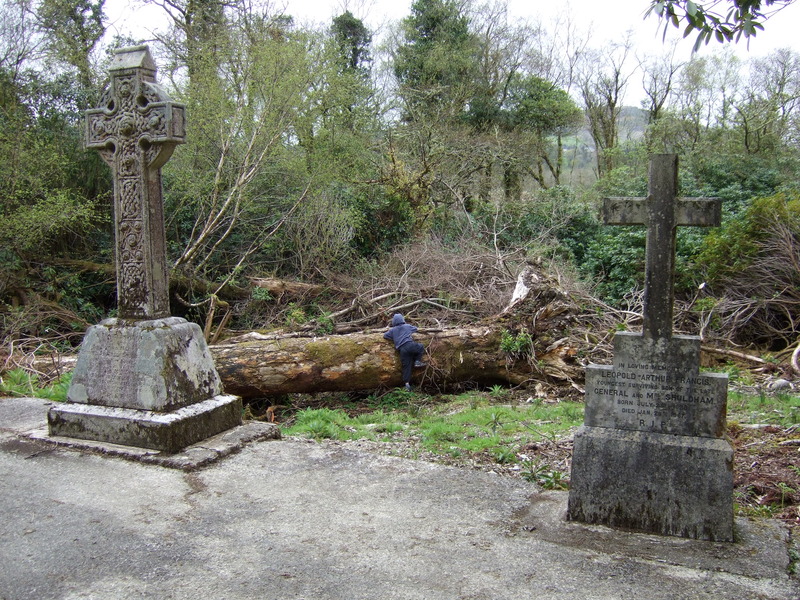 Robert Boyle was fostered in Lismore as a child and had fluent Irish and acted as a translator for his father The Earl of Cork. 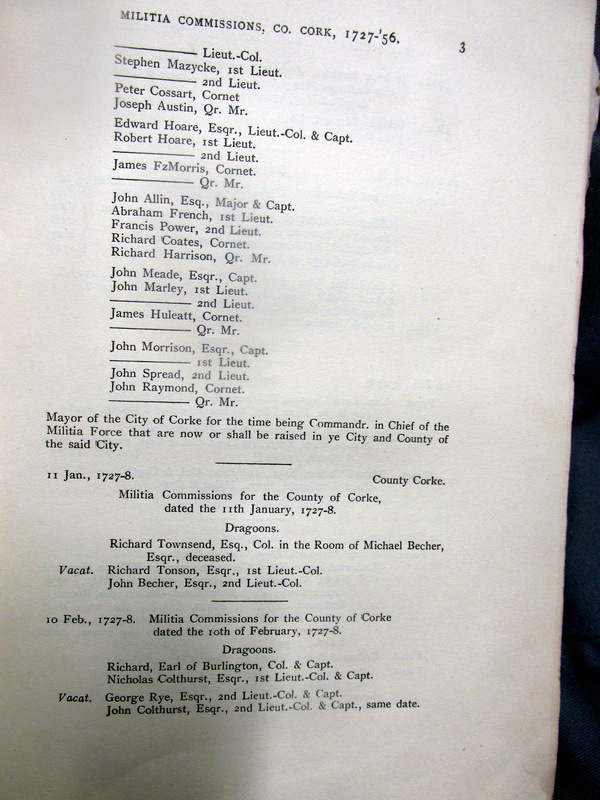 The Boyles had extensive estates in Waterford and Cork including in the Barony of Carbery. 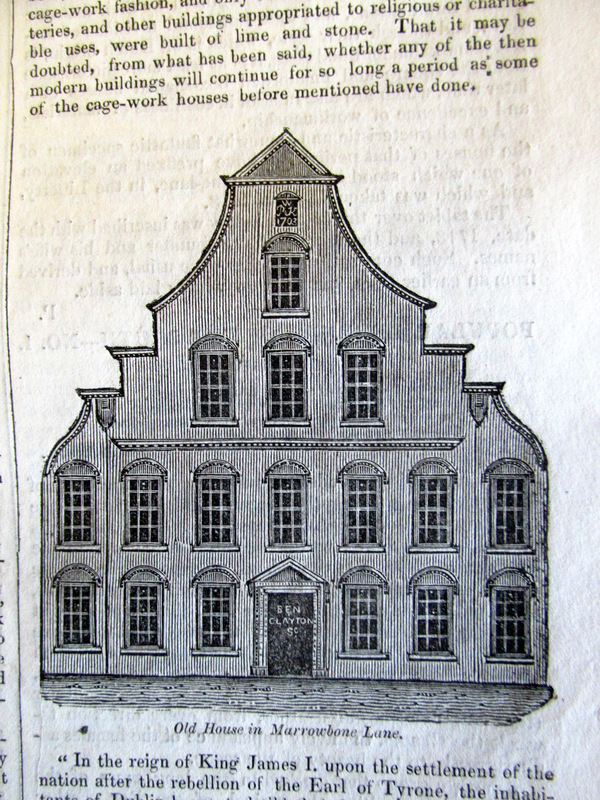 This was later to become the Devonshire Estate. 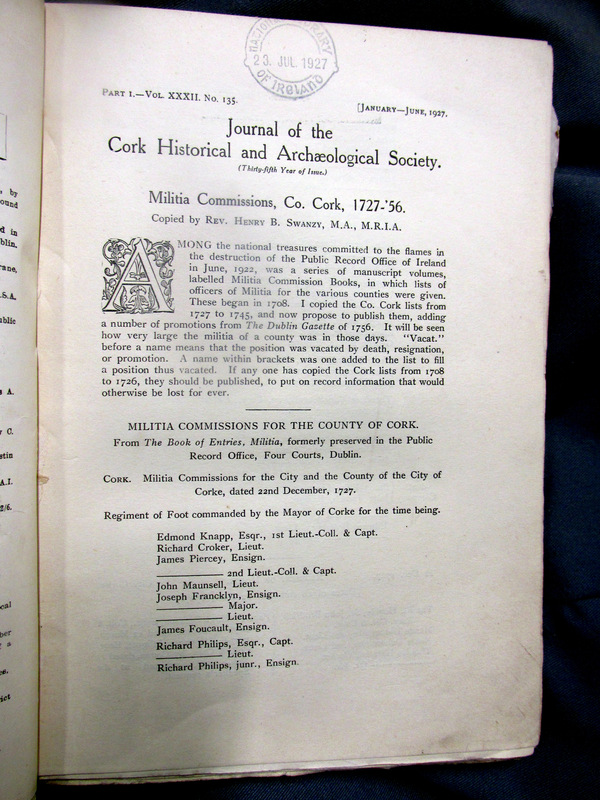 From the Tanner Letters published 1944 by Irish Manuscript commission. 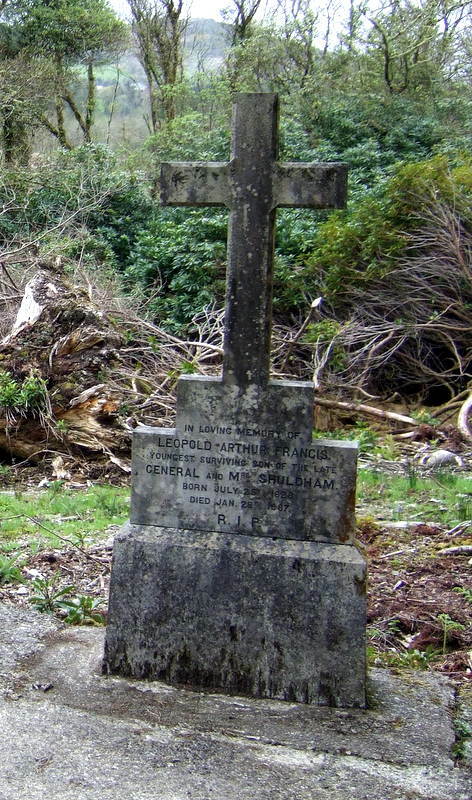 William Martin Murphy, Bantry and the Noel Brown connection.